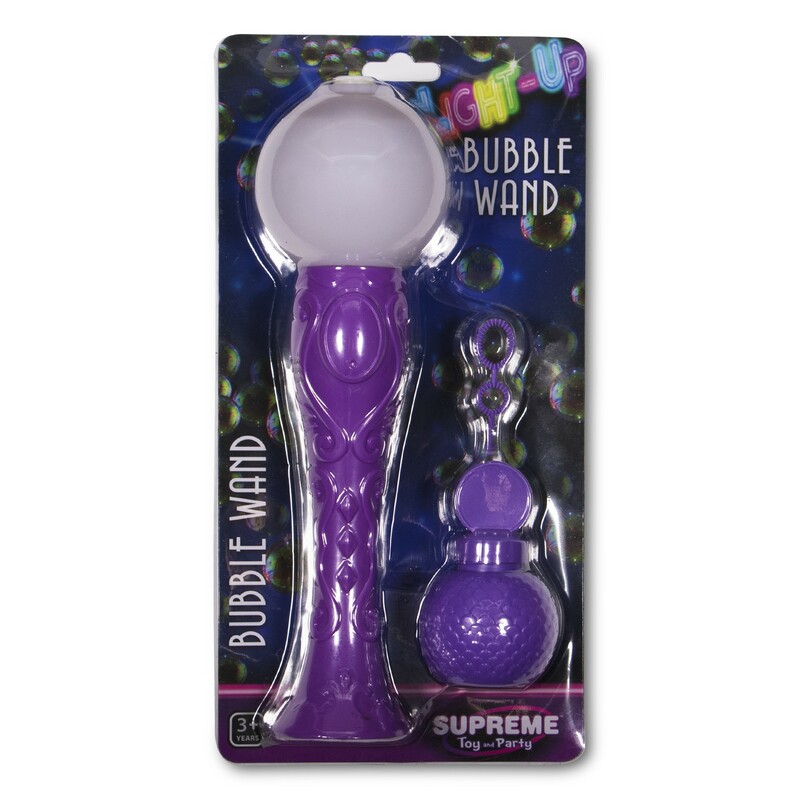 Our pretty Purple LED Bubble Wand comes with 3 AAA batteries included and installed. 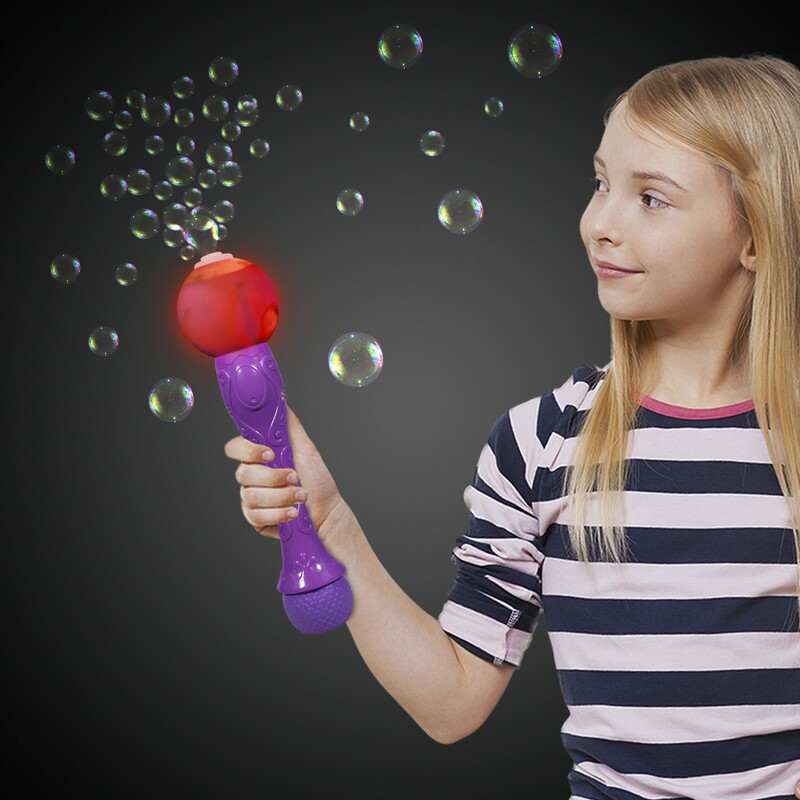 Our fun light up bubble wands are a great alternative to our classic bubble guns. Once fully assembled each wand is approximately 13" tall. Read and follow directions on the back before use.